I started working at the front desk in SoHo, and a large part of that was because I was tired of riding as my friend Susan’s guest. But I really started riding when Jason Haro became an instructor, because he’s a good friend of mine. I was much heavier then and wasn’t very good at SoulCycle, so I did’t really like it at all at first. But once I started riding regularly, I just got what Soul was about, and I loved it. It was nice to have a positive job to come to. My mom passed from cancer two years ago, and after that I gained a lot of weight and spiraled into a nightlife person. Although I was pursuing musical theater, I was also working at a bar before SoulCycle. When I started at the front desk, I realized quickly that this was my happy job. What an eventful first ride! What kept you coming back? The second time, when my shoe clipped in properly, I was able to really get it. I’m a musician, I’m a dancer, and I’m not a gym person, so any alternative to standing in a room lifting weights is appealing to me. SoulCycle really connected with me. And I had also never seen such change in my body so fast. When I graduated from high school, I weighed about 265 pounds; I was always pretty heavy. Probably since when I started at the front desk, I’m down like 60 pounds. 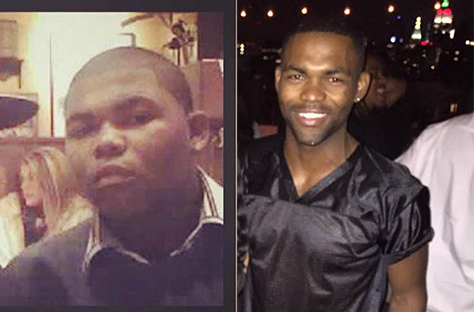 So this immediate and radical change in my body kept me coming back. And just because I really enjoyed it, you know? Definitely! Did you notice any other differences in SoulCycle? I could ride with Sunny when I feel like I needed to go to church — I just feel like she has all the answers! And if I wanted to have a party, I could go to Lindsay Waxer and dance. Really, I could find a class that catered to whatever I was looking for or whatever I needed. I rode with Lindsay Waxer a lot, and she said to me one day, “You’ve got moves on the bike! Are you trying to be an instructor?” And at that point I didn’t really know, but I started trailing her around and shadowing her. Then Sunny moved to New York, and I started riding all the time with her too, because she’s also a friend of mine. I think just the idea of getting into another field that I enjoy seemed really appealing. Outside of performing musical theater, I’ve never found a second job that that didn’t seem like a chore. At SoulCycle, nothing feels like a chore here. So after six months at the front desk, I auditioned. So how is being an instructor different than being a rider? It’s nice to be in control and set the mood, and I think it’s a fun responsibility to be a leader. You also just never know what someone is going to say to you afterwards or how what you say in the studio is going to affect someone. Who is your biggest motivation or inspiration? My mom. She always had an “if this is what you want, go do it” attitude. I really try to adapt that was to thinking. And she’s not here anymore, but I feel like she would like this. 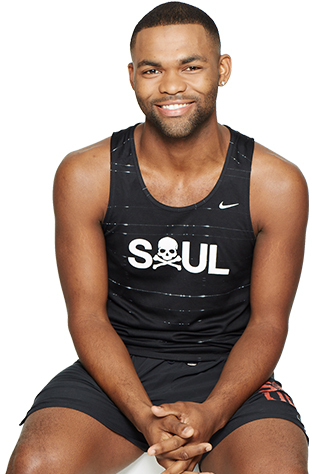 Catch classes with Ariel at SoulCycle 19th Street and SoulCycle NoHo! Questions or comments? Email blog@soul-cycle.com! Want to ride? Grab a series HERE and book a bike! 14 Quick and Healthy Smoothie Recipes!